Glad Alex is feeling better. So tomorrow won’t be an echo of today. We hope. I think it has to be the chicken by the way. Can you imagine a planet of eggs and seeds all over and nothing roaming before? Loved this fun way to play with words! Thanks for the link. 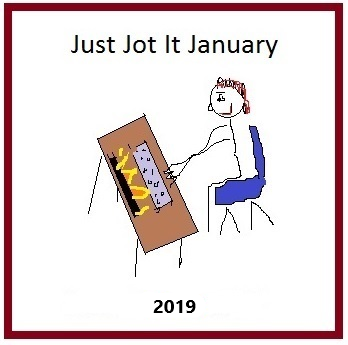 🙂 If you’d like to participate in Just Jot it January, just link my prompt post in your post of the day. There might be an echo in your comments today. I’m glad to hear that Alex is on the mend. That’s good news about Alex, hope he continues on the up. Yes there is nothing new in the world ..